Artificial bugs & butterflies, etc. 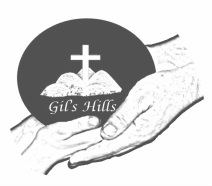 Remember, all of the activities at Gil's Hills are free-of-charge. THANK YOU for serving the King's Kids with your donations!